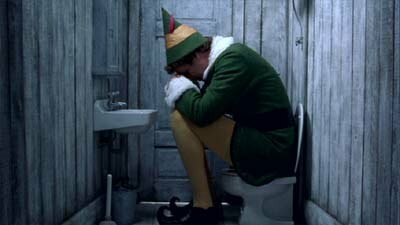 Elf is a modern Christmas Classic that has something for everyone. Will Ferrell gives an incredibly funny and heartfelt performance as Buddy, a human raised by Santa’s elves on a quest to reconnect with his Father in New York City. We want to help everyone connect with their Elf-like Christmas spirit by revealing our top ten favourite lines from Elf! 10. It looks like a Christmas tree! 9. You did it! Congratulations! World’s best cup of coffee! Great job, everybody! It’s great to be here. 8. 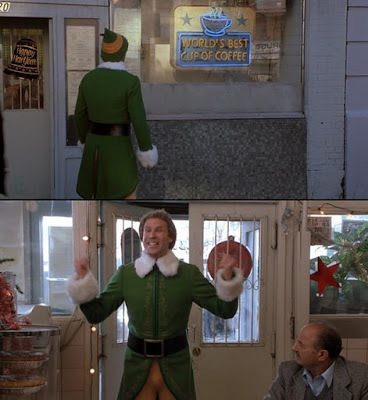 Buddy the Elf. What’s your favourite colour? 7. I’m sorry I ruined your lives and crammed 11 cookies into the VCR. 6. 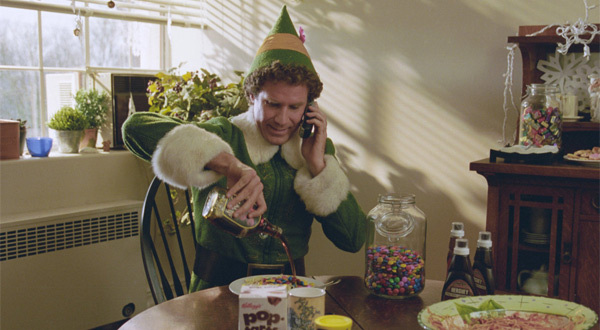 We Elves try to stick to the four main food groups: Candy, Candy Canes, Candy Corn and Syrup. Show off your love of sugar with this T-Shirt! 5. I just like to smile! Smiling’s my favorite. 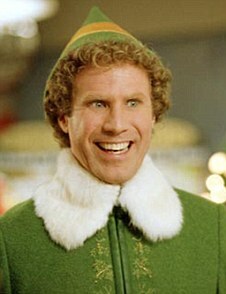 Did you know the elf in red is Ralphie from A Christmas Story? 3. You sit on a throne of lies! 2. Watch out! The yellow ones don’t stop. 1. SANTA! OH MY GOD! SANTA’S COMING! I KNOW HIM! I KNOW HIM! Do you get this excited about Santa? Then this T-Shirt is for you! And remember, the best way to spread Christmas cheer is singing loud for all to hear. Another great way to spread Christmas cheer is to browse Retro Festive’s Elf Section!